Characteristic: AUTO / Sound Activated Installation of Ceiling Cooling system in Intelligent temperature control Using in wide range. 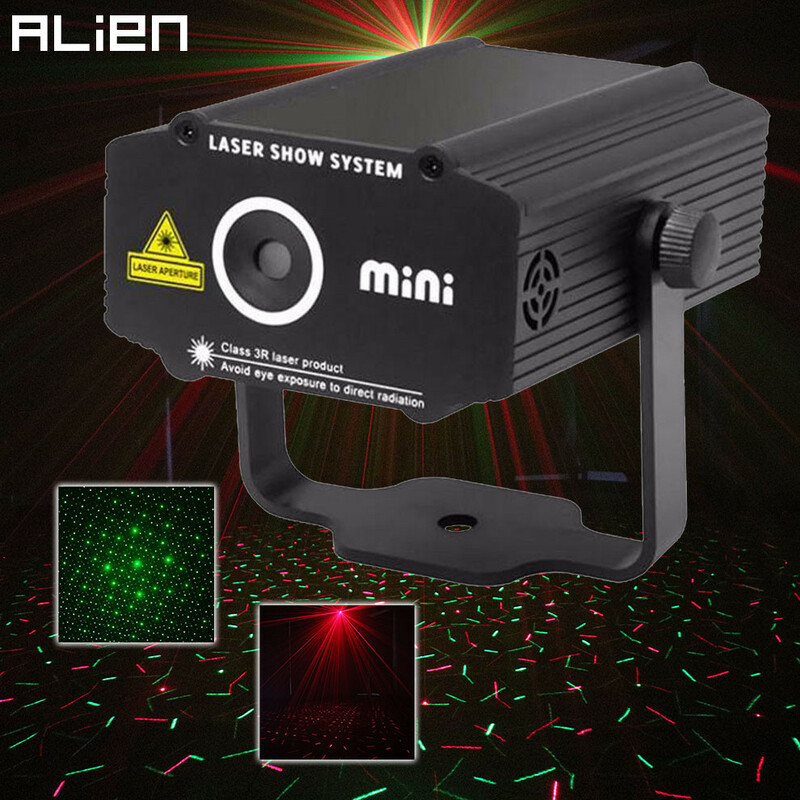 Features: Laser Source: [email protected] [email protected] Laser Effect:Star Mode: Auto, Sound Activated Power Supply: Output 5V 1.0A AC adapter Power Supply: input AC110v~AC240v , 50/60Hz Product size: 110mm x 85mm x 50mm Packing size: 150mm x 110mm x 80mm. NW. : 0.45Kg; GW. : 0.65kg; Using for , DJs, Bands, Bars, Pubs, Clubs, Roller skating rinks, KTV, Family party, Birthday, celebration, Wedding, Festival, Mall, Store, Shop and other appointed place.ect. Notes : 1. Please go through all description before purchase. 2. The video and pictures were made under the dark area with fog effects. 3. The resolution of video may appear to be dusky but the real effect will be better than the video you\'ve seen. 3. The item will be shortened it\'s life if it keeps running for a long time such as 5 hours (switch off for 15 mins when it was running for few hours). 4. Keep away from children and NO direct eyes contact to the laser lights. 5. Please comply with the user manual during using. 6. It\'s normal for a little noise when the item is running as it was applied with a stepping motor. ABOUT ALIEN LASER ALIEN Stage Lighting is an art form onstage. It is the one element of the production that ties everything visually together. Without it we simply can not see, with it we can create environments, motion, pacing, concentration and enhance emotion.